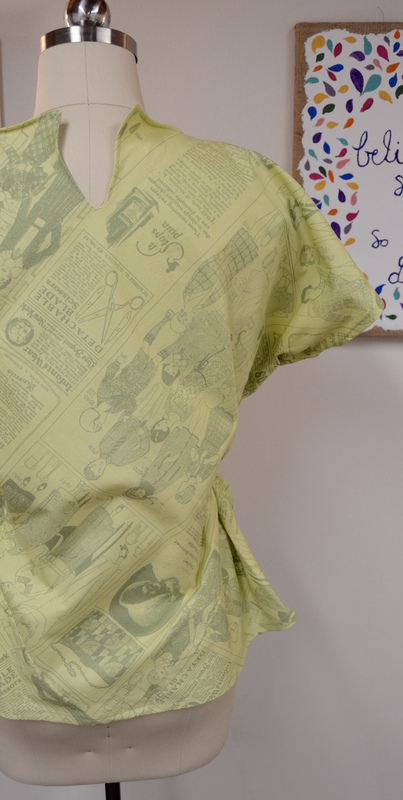 This blouse is such a quick and easy way to take an extra yard of fabric and turn it into something special! Add some pizzaz with different fabrics, contrasting colors, and trims!! The possibilities are endless! 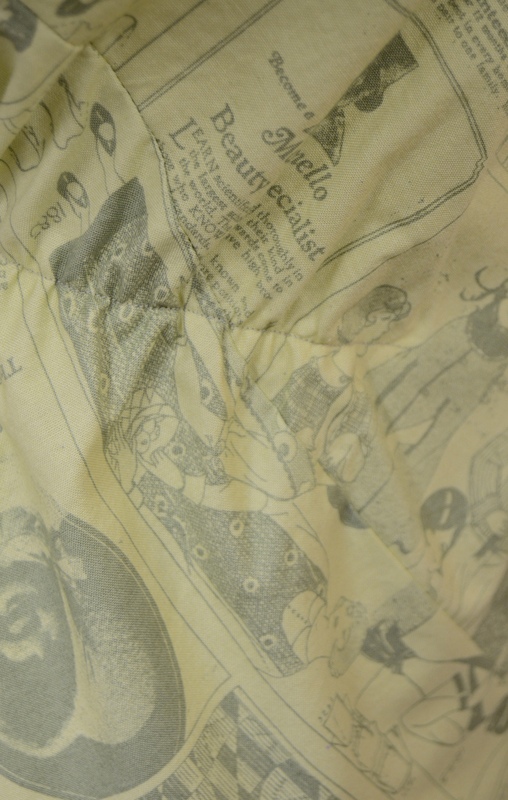 This pattern can be created by simply measuring and cutting the actual fabric, however the pictures below are shown on a large piece of craft paper. 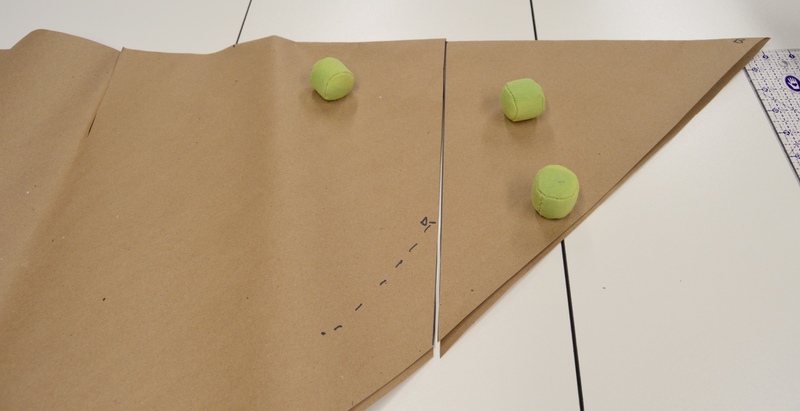 Fold a 36″ by 36″ piece of fabric (or paper) into a triangle. Mark the neck between the two end points. Measure 13-15″ from center of neck towards one point. Mark this point. The length will be the sleeve, so make it as long or as short as you would like. 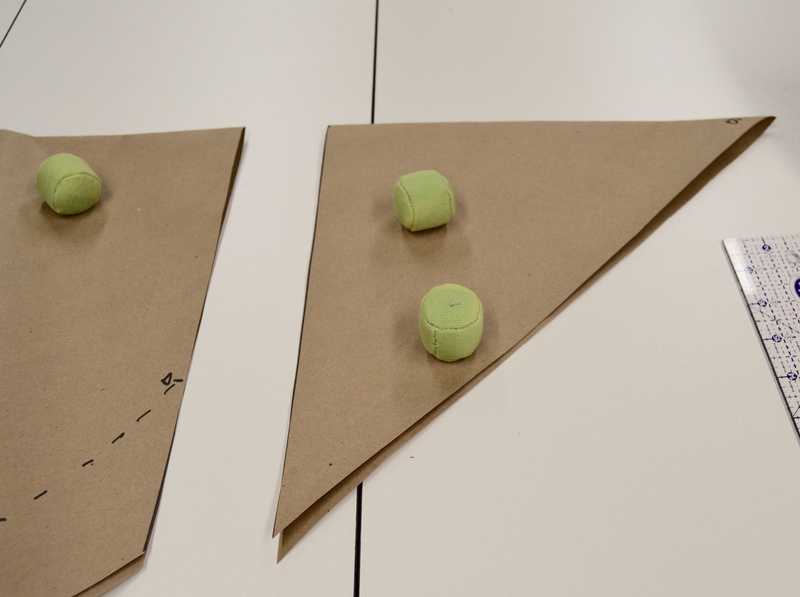 Then cut off the triangle. Repeat with the other side. 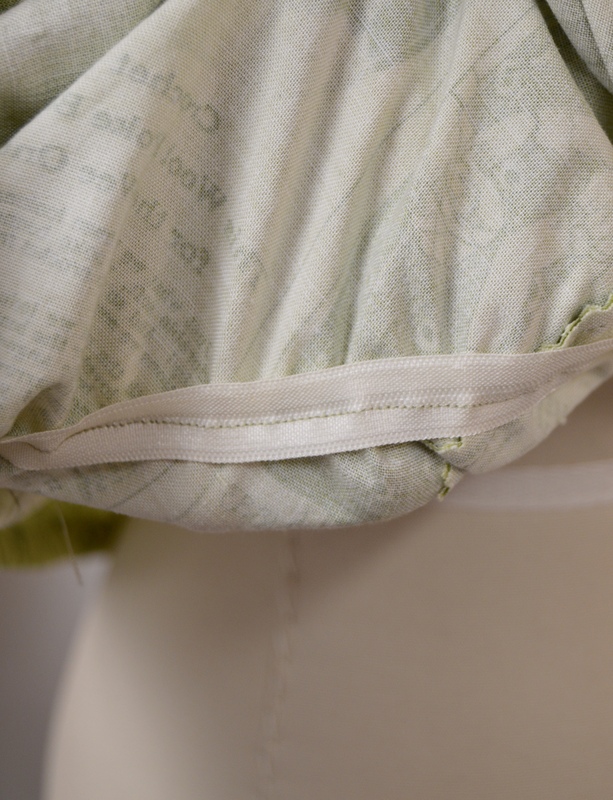 Allow 8-10″ for armhole then stitch (right sides together) 4-5″ down from this point. 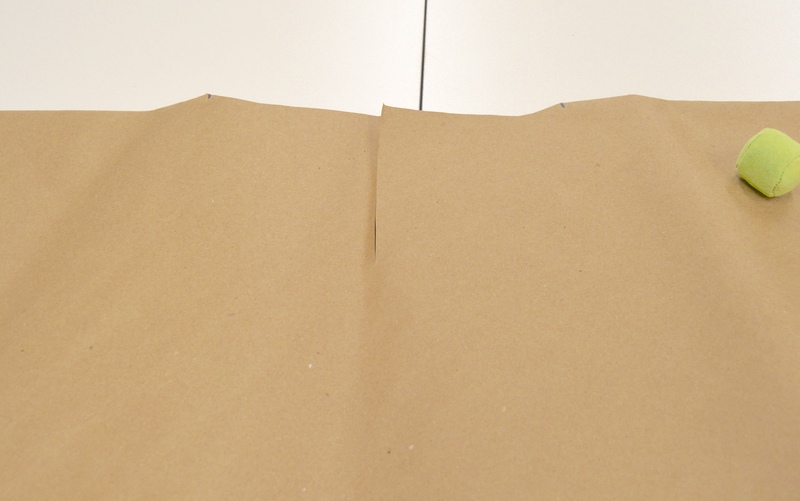 This line is shown as the dotted line on the paper pattern below. 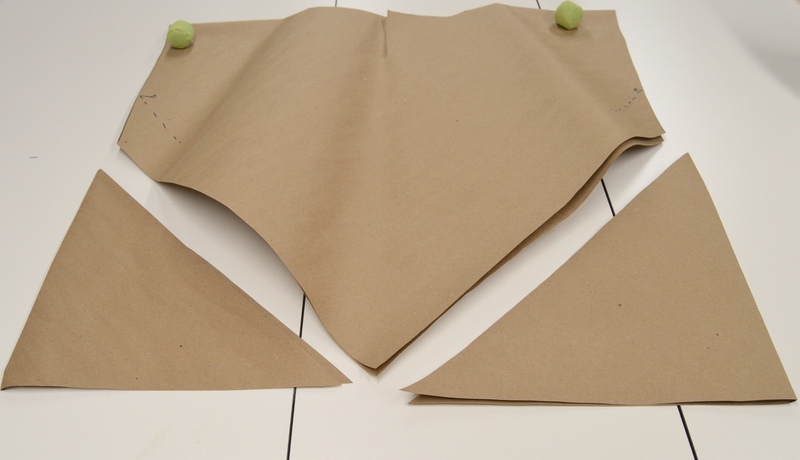 Take the cut off triangle pieces and attach them to the bottom of the triangle so the fold edge forms a side seam. Stitch to the bottom of the blouse, right sides together. 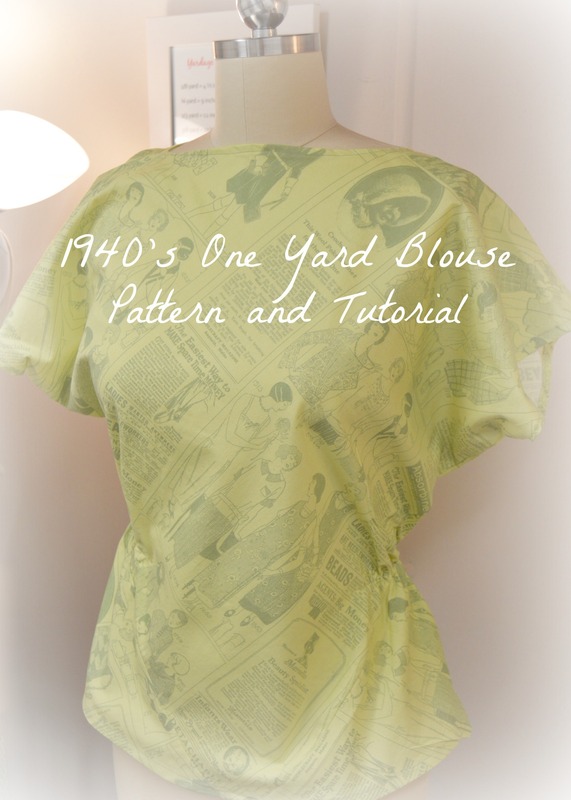 Measure 4 1/2″ on each side of center neck point and gently cut out a scoop neckline. 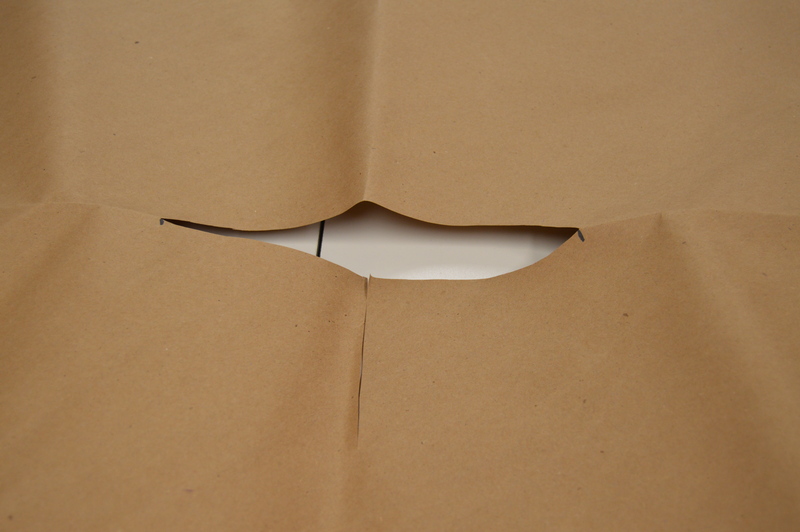 Make a 4″ slit in the center back of the neckline. 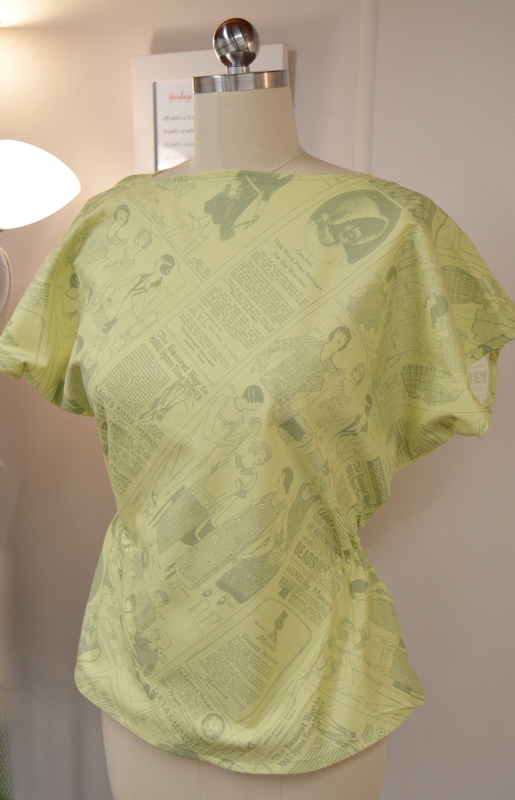 Sew a 6″ piece of elastic, while it is stretched out, on each side of the waist line to create a shirred peplum. Hem all raw edges and add shoulder pads, if desired. OPTIONAL – Add a snap or hook to the center back neckline to close. And that’s it!! 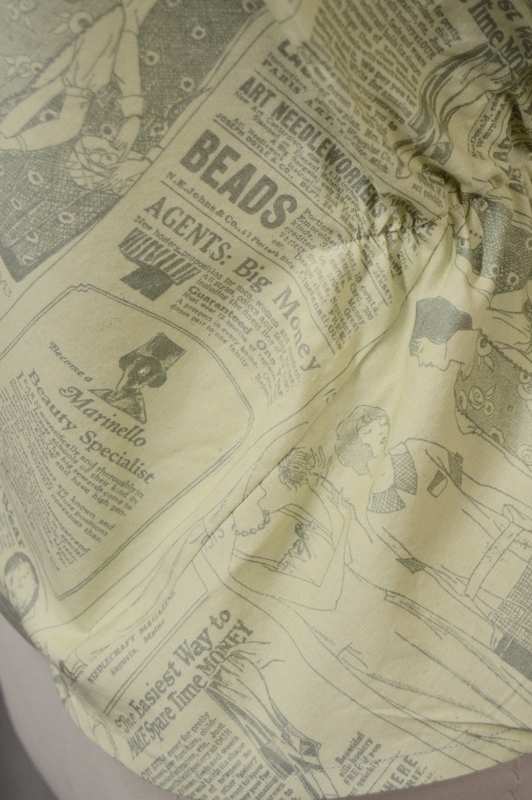 Enjoy your new vintage inspired blouse!!! What size does the 36″ square fit? Previous PostHistorical Patterns I’m Excited to Try!